As Singapore celebrates its 50th year of independence today, our former bedfellows are in fact toasting a 50-year journey that began with an unceremonious eviction from the Malaysian dream. It was inevitable that the conditions on how Singapore attained its independence had set the stage for a tense relationship between the two nations, one that would for many years later be defined by distrust and rivalry. Having been born in Singapore, and still having a small community of friends and family in the island-state, I’ve always had a little bit of an obsession with the “little-red-dot”. I am intrigued by how different our people have grown to be, and how there always seems to be a feverish attempt by Singapore to distance itself from anything Malaysian (except for our water, of course). The truth is, there is much to celebrate of the commonalities between Malaysia and Singapore. Both, for one, share a rich, Malay heritage and were once British-ruled. Singapore’s founding father and stuff of legends, the late Lee Kuan Yew, had worked alongside our Bapa Kemerdekaan Tunku Abdul Rahman in fighting for, and setting the terms of independence from the British almost 60 years ago. While he later came to despise what he called our leaders’ weakness for communal politics, back then Singapore and Malaysia were one, fighting for the same cause. Lee had also admitted to feeling more at ease mixing with his Malaysian peers in London’s Cambridge University, than with Chinese nationals whom he felt he had very little more in common with than genetics. This is a sentiment shared by the citizens of both our nations, which are a beautiful and unique hodgepodge of cultures and races. Most Malaysians will attest that they feel more connected to their fellow countrymen of a different race, than they would with a person from their country of ethnic origin, and the same goes for Singaporeans. Unfortunately, though, these are just about all both countries now have in common. It doesn’t take long for an observer to note the glaring disparity between Singapore and Malaysia. Singapore’s gross domestic product per capita is one of the highest in the world, while Malaysia continues to struggle to move out from its developing nation status. While both are multi-cultural societies, Malaysia runs on a policy according special rights to the majority Malay race, while Singapore’s is a brutally merit-based system. Singapore is Southeast Asia’s cleanest, and one of the world’s most corrupt-free governments, while Malaysia recently celebrated its jump up a miserable three spots in the Corruption Perceptions Index for 2014 to 52 out of 100. Singaporeans complain about the government using their retirement fund, the Central Provident Fund, for investments to increase public coffers and reserves, while Malaysians today still have no idea what happened to RM42 billion in losses incurred by state investment arm 1Malaysia Development Berhad, much less be able to demand for a more efficient use of our Employees Provident Fund monies. Singaporeans’ worldview has become that of a global nation, where their activists fight for a quality of life which they believe citizens of a developed nation should enjoy. We, on the other hand, battle a political system that is rife with corruption and have to endure the unending bickering over the role of Islam in our Constitution, while urban poverty is slowly but surely rising. If we had so much in common when both nations started out; if even our people seem to be made of the same stock; and if we in Malaysia have the obvious advantage of a larger talent pool and abundant resources – why are we tailing so far behind? 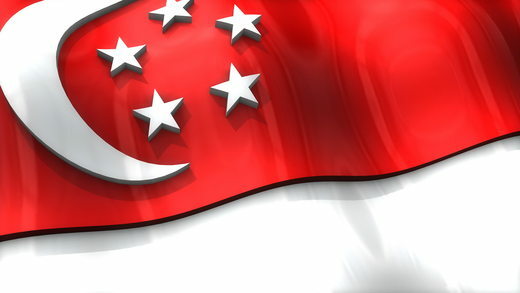 The obvious answer is not that Singaporeans are more capable (although most of my Singaporean friends will swear that’s the case), but that Singapore has become what it is because of its hard-nosed stance against corruption, and their leaderships’ almost-religious passion that the greater good of the nation surpassed all personal glory. The incidents of the past two weeks in Malaysia have left most Malaysians with a feeling of despair and fatigue –hopes that our government will be forced to be made accountable to allegations of corruption and mismanagement by 1MDB have all but been wiped out with the suspension of the Public Accounts Committee, the disbanding of the Malaysian Anti-Corruption Commission team in charge of 1MDB investigations and the silencing of government critics within the ruling Umno party itself. We have become the topic of amused discussions all over the world, with international media coverage of the 1MDB debacle making us an object of pity and ridicule. We have leaders who change their stance as quickly as the tides change, sealing the perception that many of those in power are there purely for self-gratification, and not to serve this nation. As Singapore celebrates its independence day with pride and sense of accomplishment today, Malaysians are planning to mark our Hari Merdeka at the end of the month with a mammoth street protest against a government far removed from the sentiments of the people it is meant to serve. The difference between two former compatriots couldn’t get any more jarring. So Happy Birthday, Singapore, from the country you could have become, but are today far ahead of. – August 9, 2015.